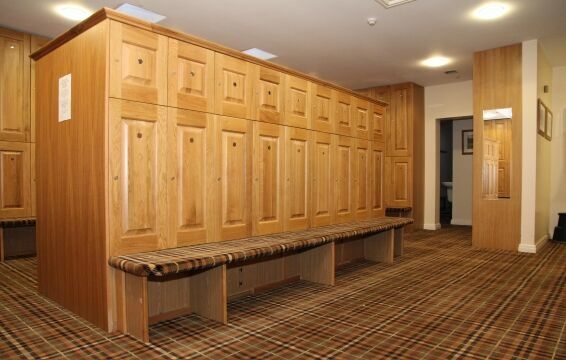 The Club's Locker Rooms were completely upgraded in January 2010 and they now offer changing facilities of the highest quality. Each Locker Room is equipped with spacious showers constructed from beautiful natural stone tiles and the individual Ladies showers are privately enclosed with solid wood doors. 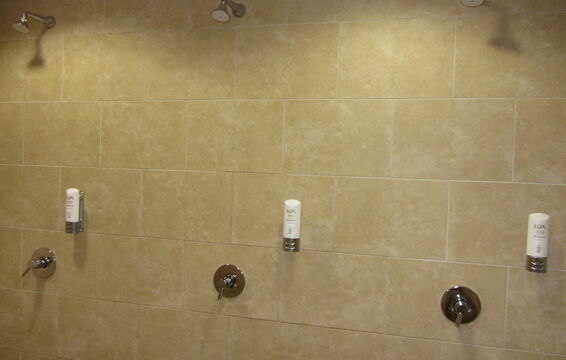 Each shower has its own supply of complimentary hair and body wash for the convenience of our members and guests. 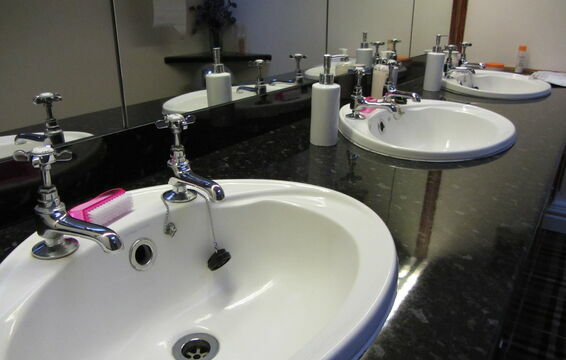 Hair dryers are also available in the Ladies Vanity area. 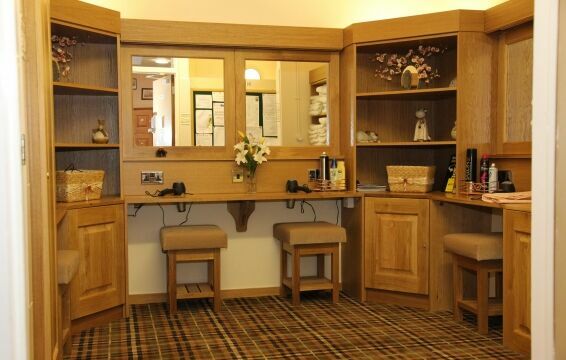 You can look forward to pampering yourselves after your round with the amenities in the Dean Wood Locker Rooms.